Water quality issues are making the news in Iowa and nationwide. This spring, the Des Moines Water Works announced its intention to sue three Iowa counties for polluting waterways in violation of the Federal Clean Water Act. 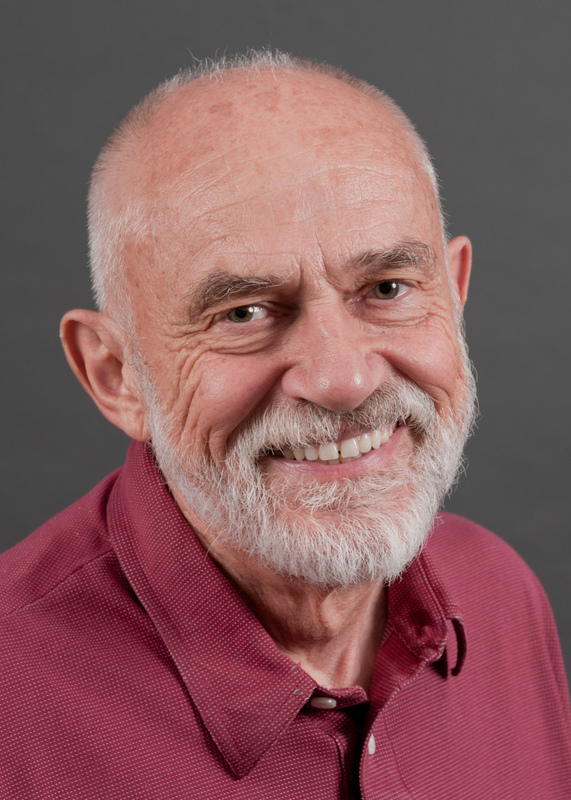 David Osterberg, CPH clinical professor of occupational and environmental health, advocates for water quality through the Iowa Policy Project, a nonprofit, nonpartisan research organization he co-founded in 2001. Osterberg, a former state legislator who chaired the House agriculture committee, discusses clean water and recommendations to strengthen Iowa’s Nutrient Reduction Strategy, a voluntary framework to cut nitrogen and phosphorus discharges into Iowa waterways. What are some of the concerns about Iowa’s water quality? Since Iowa was settled in the 1840s, our water quality has suffered. This isn’t unusual for a farm state, where millions of acres of wetlands were converted into cropland. First, we’re losing lots of soil. Our rivers run brown, not clear. Even if soil loss didn’t make Iowa’s rivers run brown, they’d run green because of algae—the result of heavy doses of nutrient runoff. So, nutrients—primarily nitrogen and phosphorus—are a second cause of impaired water quality. On farm fields, nutrients aren’t a pollutant since their purpose is to make crops grow. But in water, nutrients are out of place and become pollutants. Third, pesticides (insecticides and herbicides) wash into waters, although some herbicides like atrazine are less prevalent nowadays. Wastewater treatment plants discharge pollutants from industrial chemicals and home cleaning products, although the Environmental Protection Agency (EPA) sets limits. How does polluted water affect environmental health? Iowa lakes and rivers increasingly have algae blooms, which reduce recreational uses and pose health risks. 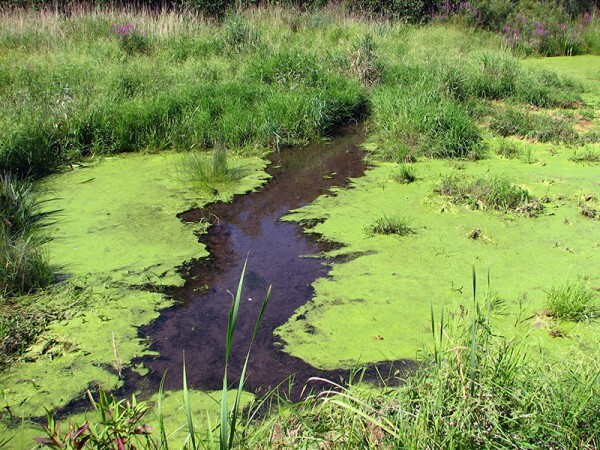 Phosphorus can feed blue-green algae, including a type that causes extremely toxic organisms called microcystin. In July 2014, the city of Toledo, Ohio, temporarily lost its water supply due to microcystin in Lake Erie. You couldn’t even boil the water to make it drinkable. Since 2010, the Iowa Department of Natural Resources (DNR) has seen statewide a ten-fold increase in the microcystin at beaches, from two cases to 22. In the Gulf of Mexico, oxygen loss has created the dead zone. People often say we “poisoned” the water, but we actually over-enriched it. Since nitrogen and phosphorus make plants like corn and soybeans grow, they also make algae grow, which in turn consume all the oxygen, and fish die or leave. What is the Nutrient Reduction Strategy? Iowa introduced the Nutrient Reduction Strategy (NRS) in 2013 in response to the EPA directive for states along the Mississippi River to reduce the dead zone. The goal is to reduce nitrogen and phosphorus runoff by 45 percent. The DNR, Department of Agriculture and Land Stewardship, and Iowa State University (ISU) determined that 90 percent of the nitrogen from Iowa that ends up in the dead zone comes from nonpoint sources, meaning from agriculture. The other 10 percent comes from point sources, primarily wastewater treatment plants. Nearly 66 percent of the phosphorus comes from nonpoint sources and 33 percent from point sources. Taking reduction steps is voluntary for nonpoint sources, despite accounting for 90 percent of Iowa’s nitrogen contribution, yet mandatory for the point sources. What can be done to improve water quality through policy and practice? In July 2014, the Iowa Policy Project (IPP) published a paper on how to improve the NRS. One of the basic problems is the lack of resources to implement the program. Besides needing to change course and assure sufficient funding, there are other problems with a voluntary program. There’s no date by which to achieve the 45 percent reduction goal; we need to set a date. Also, monitoring isn’t required, and should be. But the crux of the NRS weakness is that it’s voluntary for farmers. Many farmers are doing positive things. But many farmers aren’t doing anything and should. An ISU Agriculture and Rural Life poll in 2011 of 1,300 farmers found that 51 percent of landowners spent nothing on conservation practices in the prior 10 years. If you’re spending nothing, you’re likely doing nothing. IPP thinks farmers should be required to pick two conservation practices from several choices. What practices help reduce soil and nutrient loss? One effective practice is cover crops, which keeps soil in place and utilizes nitrogen and phosphorus. However, they can be hard to get started if row crops aren’t harvested until November. Buffer zones between crops and waterways are very effective. The Environmental Working Group showed that a relatively small number of acres taken from production can help. Buffer zones attract wildlife such as pheasants. Farmers could charge people to hunt on their land. Other practices include reintroducing wetlands, contour farming and terracing, and grassed waterways. If the NRS is sufficiently funded, more technicians could be hired to help farmers successfully adopt these practices. In Iowa, we have the best farmland in the world. We ought to use it to grow corn, but we should be able to grow crops and not contaminate the land and water.